Listen up guys, I’m sick and tired of visiting my friends in their kitchens and opening up their cupboards and refrigerators to find disorganized clutter. It’s disgusting and unnecessary. When’s the last time you actually used that iodized salt that’s been sitting around collecting dust for two years? Throw it out. Maximize your space and keep your kitchen aesthetically pleasing. 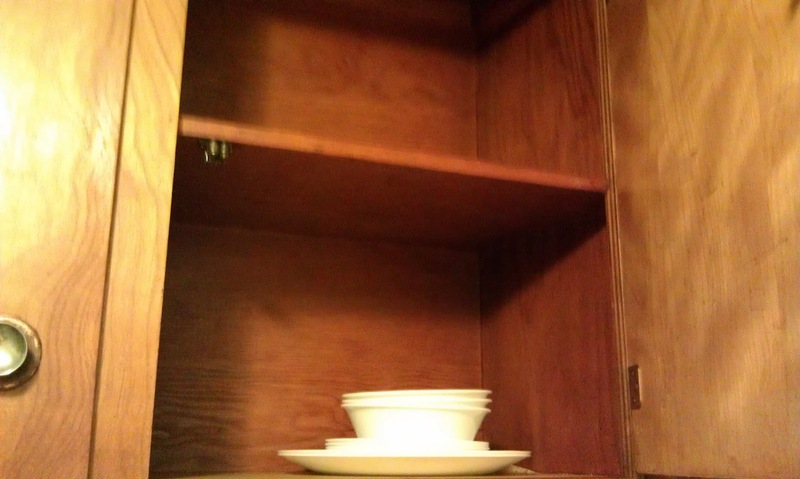 In this cupboard I keep paper towels and canola oil. One is essential to keeping my kitchen clean. The other is essential for preparing advanced hot dishes. I can’t stress enough how important hot sauce is. When you’re following a recipe that calls for salt, consider doing away with the salt and dumping a load of hot sauce in. It’s more flavorful and serves the exact same purpose. Russian dressing goes great on any cold cut sandwich. And if I don’t have cold cuts it’s time for peanut butter and jelly. Bread is a necessary component of any sandwich. Big plates, bowls and little plates are like Adam, Eve and the snake of the Garden of Even. Bowls and big plates serve a very practical purpose but little plates are only good for decoration. Perhaps it is to my discredit that I did not throw away the little plates that came with my Target dishes and silverware bundle. Guys, if your cupboards are disgusting and full then why are you putting things in them? 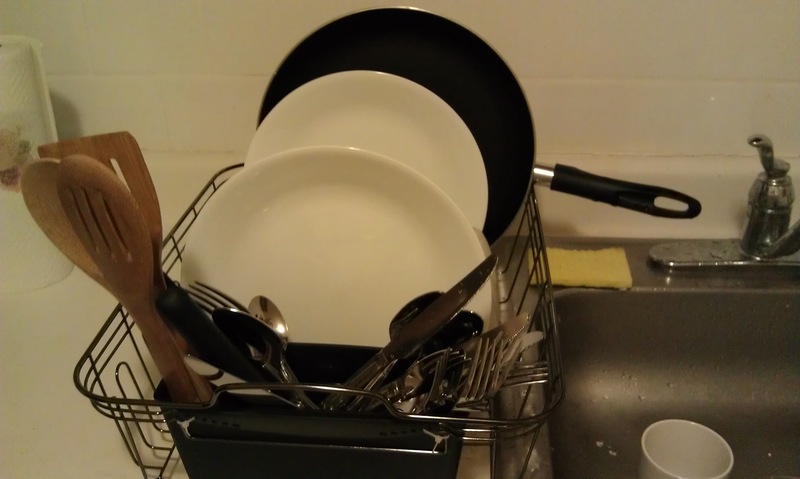 A dish rack is great for drying dishes and silverware but it’s just as great for holding them until you’re ready to use. 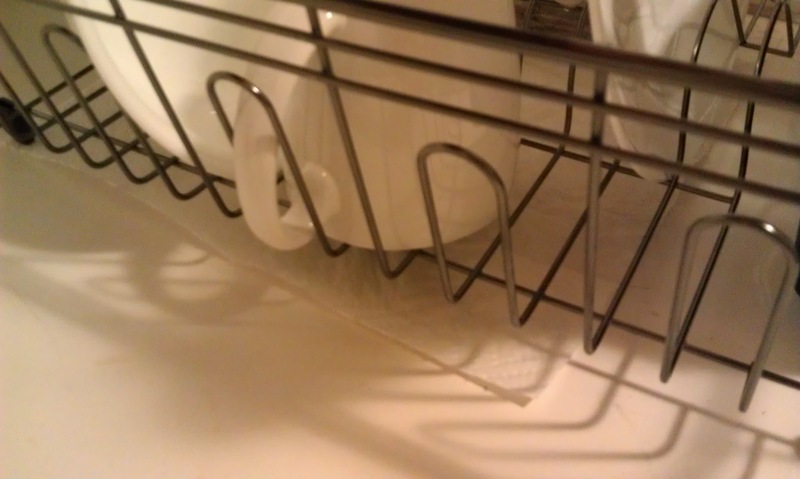 My dish rack didn’t come with a basin to keep water from spilling onto the counter so I rigged it with a paper towel to control unwanted pools of water. 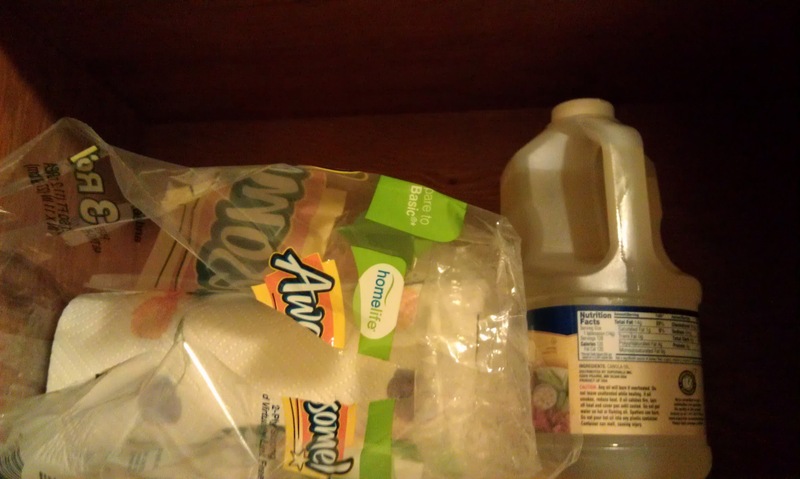 An economical solution and a great way to reuse paper towels if you’re conscious of the environment. Cereal is one of my favorite ways to start the day, second only to oatmeal. 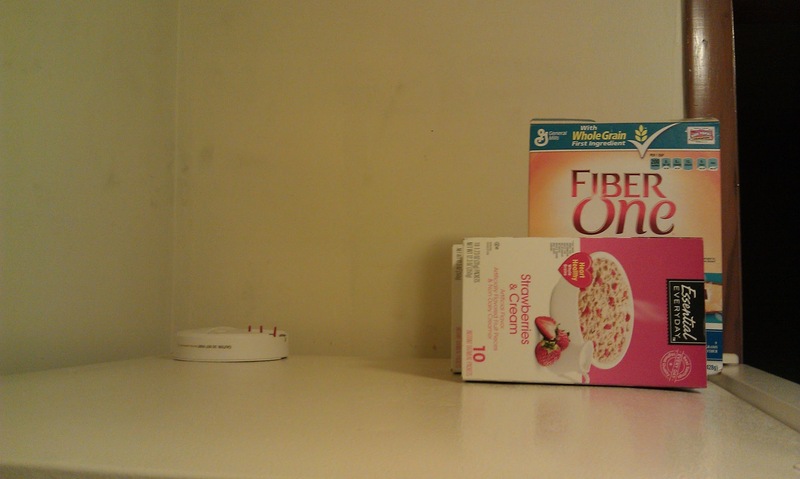 I have yet to open either of my boxes of oatmeal as I do not own a microwave, pot or any other method of boiling water. I look forward to starting my day with oatmeal and the energy it will provide me. Absolute must-haves. 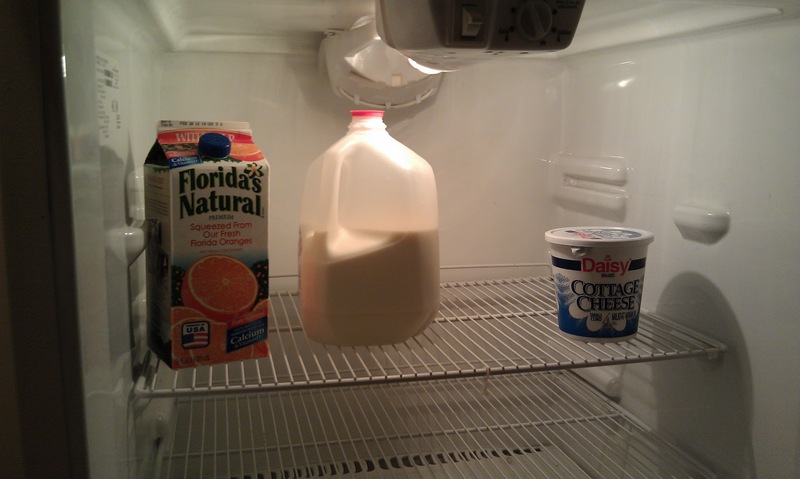 No kitchen is complete without any one of these three items. Please guys, when you buy cottage cheese do NOT buy Daisy. They’re the cheapest brand available for a reason. I continue to eat from this bucket of cottage cheese only because I so appreciate it’s nutritional value. This was a mistake that I do not intend to make again. 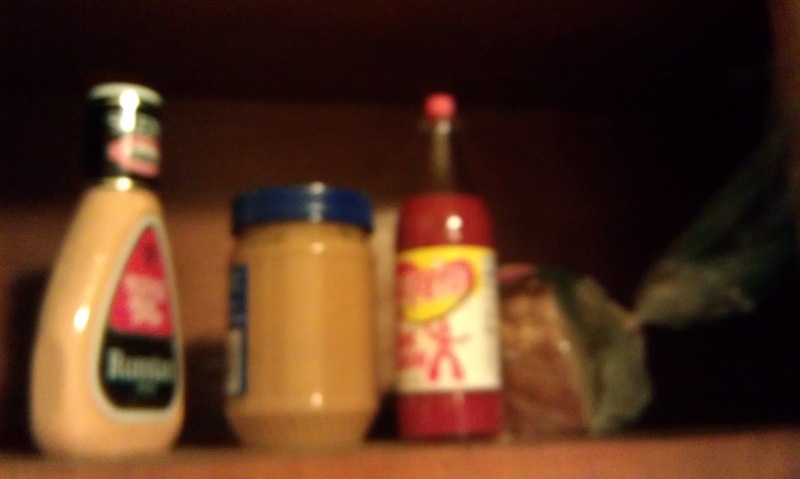 As you can see I already have a bottle of Russian dressing going, as well as a jar of jelly (please see Introduction/An Eggceptional Sandwich for an incredible recipe that calls for jelly). 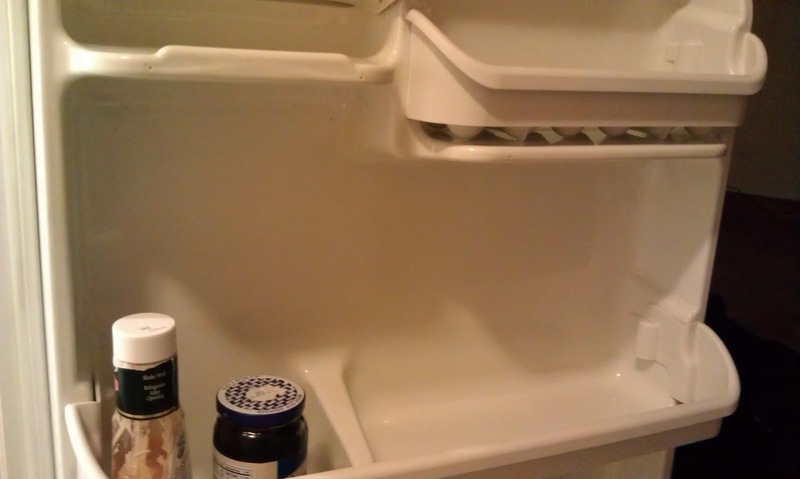 I currently have no eggs because the last time I went to the supermarket I couldn’t find them. I’d never had that problem before. When I do have eggs I see no reason to use the molded egg holders, as there is no clutter in my refrigerator and I have plenty of other places to keep them. No need to dirty up my eggshells and miss out on some vital calcium. I encourage everyone who reads this to give your kitchen a very careful browsing and discard anything that isn’t absolutely essential in cooking up some healthy, advanced meals.